Web server (hosting), wherever its location whether it's web hosting in Indonesia, USA, UK, Singapore is expensive or cheap, in the manage by small and large companies, individuals for sure a time will experience a name ERROR. And regarding this error cause just two: the first damage to the scripts/CMS we use and secondly there is interference on the web server hosting that we buy. When you experienced this the first thing you should do is "DON'T PANIC" and read some status error messages more and often appears on your web browser. Causes Error 403 - 403 Error rather than essentially pure but in the form of "FORBIDDEN" relating to limitation of right of access. When this problem happens it could mean you do not have authority to access the page/ url. The cause of the Error 404 - When a pops up 404 error sign that means the page you point to does not already exist, has been removed or changed his url. Error 404 is closely associated with SEO we therefore should continue to check the website in order to know if there is a broken link 404 error that causes can occur. The cause of the Error 500 - Code sign error 500 will happen on your web site when there is a configuration error on .htaccess and mod re write. The reason is because the Apache server cannot fulfill the request/query ordered by user when executing a command. I highly recommend that you use a 301 redirect engineering rather than create a custom 404 page not found for SEO reasons. And how to use redirect 301 (permanent redirect) from url to url missing new ones is through cpanel hosting or may also by adding the following code at the end of the line to your .htaccess file (redirect 301/url-to-error/http://domain.com/url-new/or in accordance with the configuration that you can use such as: redirect 301/url-gone.html/url-new.html).Specifically for WordPress users can use a redirect plugin list. How to fix Error 500 - Myriad causes error 500 depending on each case. 500 error usually occurs after you make changes to the code/script CMS in use like after installing the plugin, component, module for users of CMS WordPress, Joomla!, Drupal etc. Error that often arises is: Error 500, 502. 503 and 504. Here I will try to explain as brief as possible to increase your insight. 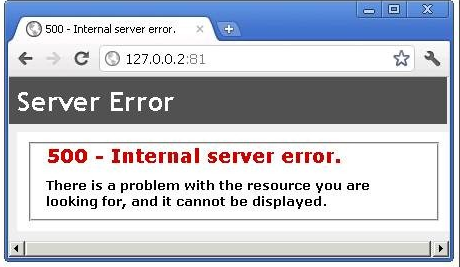 Error 500 and fix it - 500 Internal Server Error is very common HTTP status codes mean something isn't right has occurred on the server the web site, but the server could not be more specific about what the exact problem. Error 500 internal server is usually only temporary or dependent as fast as what the handling provided web hosting provider how to improve it of course by contacting the web hosting you. Knowing what causes an Error 503 and the solution - 503 error indicates the url you go to are not exist, caused by the web server is down, overloaded, maintenance etc. Error 503 is also very closely related to SEO. You have to be critical of web hosting ifyour website often have 503. When in the day going down 1 to 2 hours on a regular basis meaning your website down for 30 – 60 minutes a month and this is very dangerous because Google would consider "bad" website. Remember! Velocity web hosting ranks first of 200 items of Google's ranking system. The website Appears Error 504? This Causes - For error 504 is generally exactly the same problem with error code 503 namely poor performance of web server you use. It is therefore strongly recommended to immediately move your website using a web host.